Opinion: Villainous Vader A Choking Hazard For Rogue One? Disney's concerns are not unreasonable. 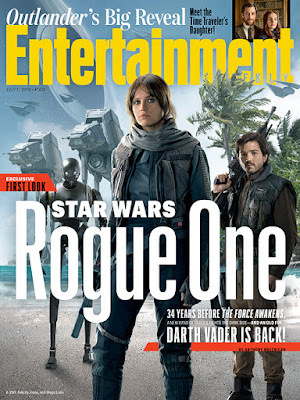 EW's 'Vader' article received a high level of traction. On our website alone, the 'Vader' story has become the second highest read news story this past week, receiving over 40,000 hits. This demonstrates that Vader's return to live-action Star Wars is 'big' news and that official confirmation has rekindled mainstream interest. For instance, now some mainstream audience members have been pleasantly surprised at the news that James Earl Jones would reprise his role to voice Vader in Rogue One (Rebels viewers will be less surprised at his return). Now that we are aware of Vader's on-screen re-appearance, how much of Vader can we expect to see in the new film? According to Lucasfilm President Kathleen Kennedy, we will not be seeing much of Vader this movie. 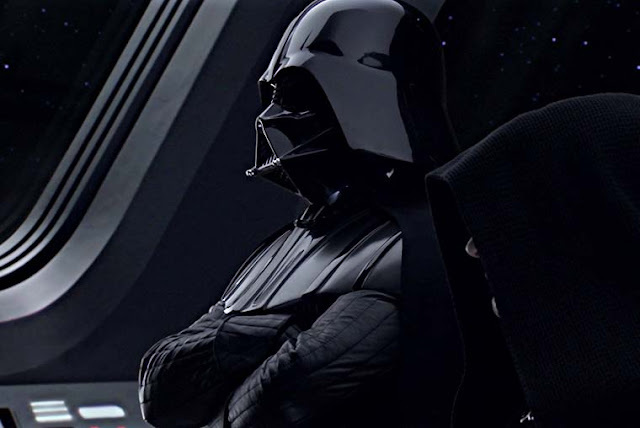 Kennedy stated that Vader will "loom large" at a "key strategic moment", but will be used "sparingly"in the film. Kennedy's statement is a welcome one because it shows that Disney recognise the value of these 'iconic' characters and that the movie will not be dominated by Vader in order to provide fan service and generate financial profit. It shows that Disney and Lucasfilm care about the franchise. On our latest SWU podcast one of our paetron members, named Rusty, reminded listeners that Vader's on-screen appearance in A New Hope lasted no more than 12 minutes. I found this to be an astonishing statistic because I felt Vader's presence was pervasive throughout Episode IV. I have no doubt his presence was pervasive, but it refutes the notion that the longer a character is on screen, the more of an impact they will make. Just look at Marvel's Days of Future Past and the introduction of Quicksilver, which generated instant impact and has now become a popular character amongst many Marvel fans. I would be shocked to see Vader in the movie for longer than 12 minutes to be frank and yet I imagine his significance in the film will seem to be much more grandiose than the actual screen-time appearance of Lord Vader. Finally, Vader's on screen presence does not necessarily mean that 'Vader' won't be used as a marketing ploy by Lucasfilm to encourage people to see the film and get bums on seats at theatres. In just under three weeks time a little known event called 'Star Wars Celebration' may reveal more on the Vader front. 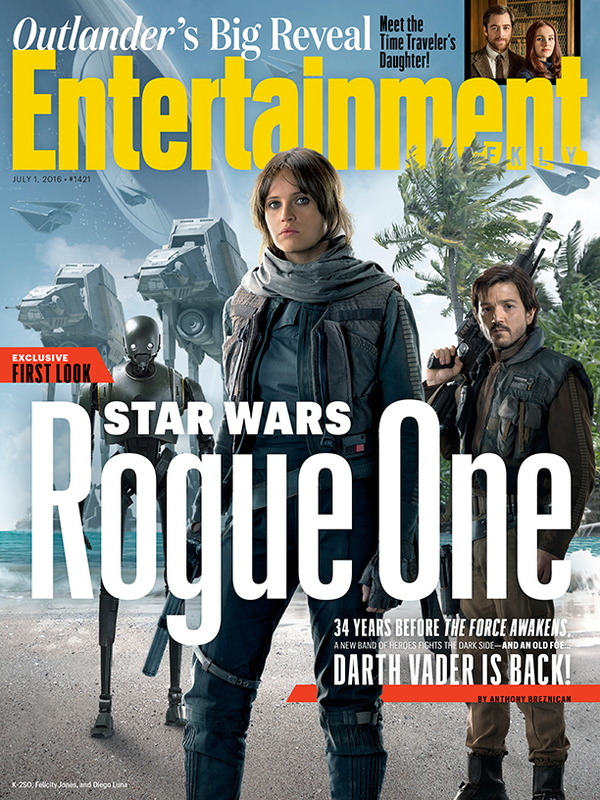 Keep an eye out for the Rogue One panel on Friday 17 July from 4-5pm (GMT), 11am (EST), 8am (PST), as I anticipate Disney and Lucasfilm will release a new Rogue One trailer. This trailer may well feature an appearance from the infamous Sith Lord, the first live-action reprisal of Vader since over a decade, in a style comparable to Han's "Chewie, we're home" line at the end of the second trailer of The Force Awakens. How significant do you think Vader's role will and should be in this movie? Let us know in the comments below. I hope Vader does not have a big role, however I hope he has a couple significant moments. Vader's first image on screen better be amazing.